KUALA LUMPUR (February 13): Track and trace services provider SMTrack Bhd’s new venture, involving the export of palm oil sludge or palm acid oil to China, is expected to account for 50% of its total revenue after two years. SMTrack (fundamental: 2.25; valuation: 0.3) chief executive officer Yow Lock Sen said that the new venture is in line with his turnaround plan for the loss-making company, which is expected to return to black in 2015. “The revenue contribution could be as high as 50%. When you combine technology revenue, transportation, as well as trading, it could be up to 50%, eventually,” he told the press today at a briefing in conjunction of the signing of the agreement with China-based Sino Renewable Energy Corporation (SREC). While the new venture is not expected to post sizeable contribution within the next five months, Yow said that the revenue contribution would be more significant after a period of two years. Under the agreement, SMTrack will be tasked with sourcing the palm acid oil, exporting the material, while also providing the tracking services for the shipment to China. SMTrack will be supplying up to 5,000 tonnes of palm acid oil per month to SREC for an initial period of two years from the signing of the agreement, with the contract to be renewed automatically for the following three years. “All in all, we’re looking at five years. At the end of five years, perhaps we could be one of the biggest track and trace party, in exporting palm oil products from Malaysia,” Yow said, adding that the world demand for biodiesel is on the rise. 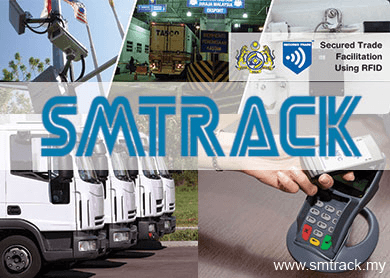 SMTrack was unchanged at 8.5 sen, with a market capitalisation of RM23.15 million.